Turner painted this waterfall in Yorkshire...Is it still there? This Turner painting is called "Fall of the Trees, Yorkshire". In the Tate Gallery I think. Or the National. The trouble is I can't find out where this waterfall called "Fall of the Trees" actually is in Yorkshire. It looks so impressive I'm sure I would have heard of it before. But I haven't. Does it exist? Did it ever exist? Was it just artistic licence? Can anyone shed any light? Is this waterfall maybe known by some other name in Yorkshire? What is its name? I'd love to go and see these falls in Yorkshire and compare my impression of it with Turner's. Anybody know anything about waterfalls in Yorkshire? 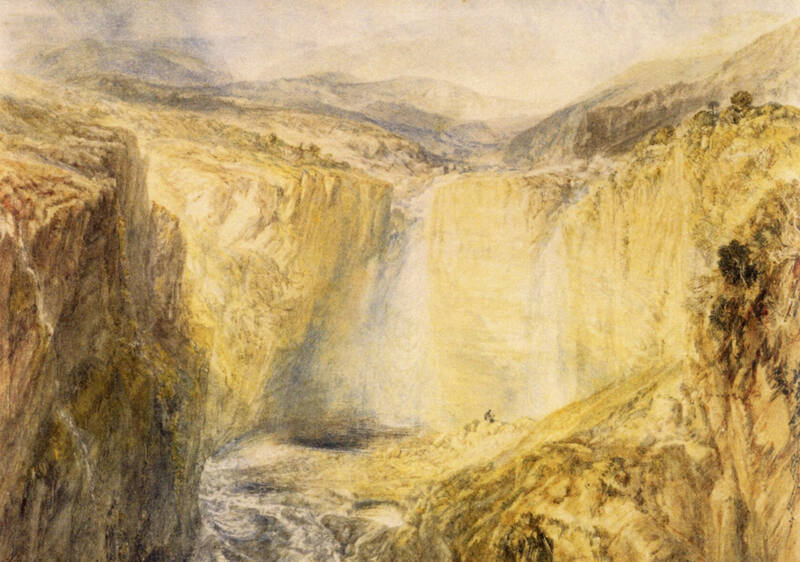 Re: Turner painted this waterfall in Yorkshire...Is it still there? 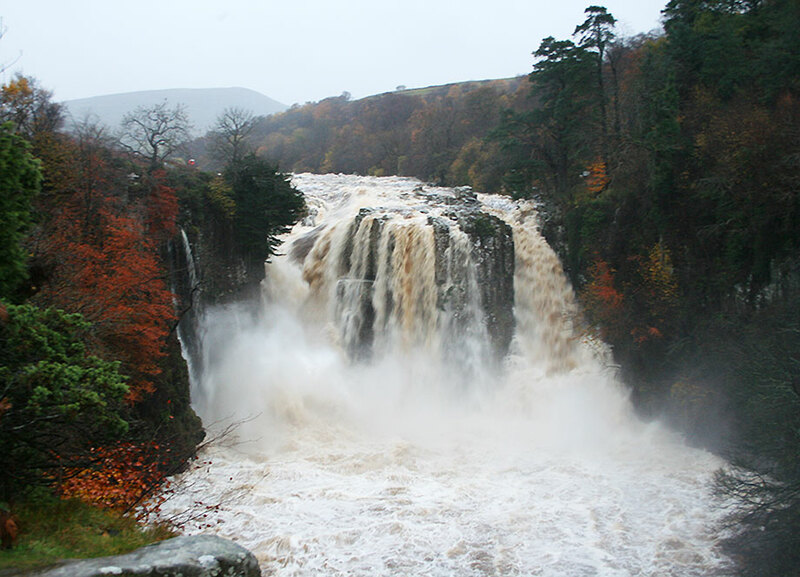 The waterfall is named "High Force" on the river Tees in the Pennines. From the maps pictures, it seems quite a popular location to visit. Cheers, Siasl. And it certainly looks pretty impressive. Not quite as muckle as Niagara Falls but who cares? It proves that Turner obviously wasn't lying! And I know where I'll be spending my summer holidays next year.